 Fiber-producing plants must be grown without the use of synthetic pesticides and fertilizers.  Wool-producing animals must graze only in organic pastures and be given non-genetically modified feeds.  The animal must not receive routine antibiotics, wormers or other medications.  No bleach or other chemicals may be used to wash or scour the fibers, and they may not be treated with mothproofing or flame-retardant finishes. 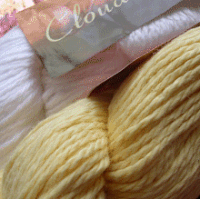  The yarn must be spun using organic spinning oils, not petroleum-based oils. 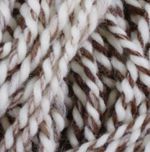  Organic fibers must be handled separately to avoid contamination. Reference: Fiber Council of the Trade Association, www.ota.com. 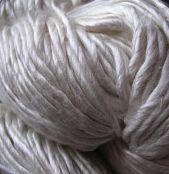 Biodegradable (eco) yarns are usually made of natural fibers derived from sustainable crops grown and processed using a minimum of pesticides, herbicides, or are made from recycled materials or waste products such as Soybean yarn, which is made from the waste products of the soy bean food industry. Eco fibers: bamboo, hemp, soy, lyocell. Merino wool is now considered biodegradable - it takes nine months for a merino garments to biodegrade. BAMBOO: The bamboo is grown in accordance with the international organic standard of OCIA/IFOAM and the USDA National Organic Program, so as to ensure each bamboo stalk is of 100% natural growth and without any chemical pesticides. LINEN: Flax plants are naturally resistant to pests and practically no pesticides and herbicides are necessary to grow these eco-friendly stem fiber plants. They also produce large amounts of usable fiber per acre and, at the same time, do not require irrigation.